It’s a common misconception that rattlesnakes always rattle before striking. Sometimes they strike without warning. 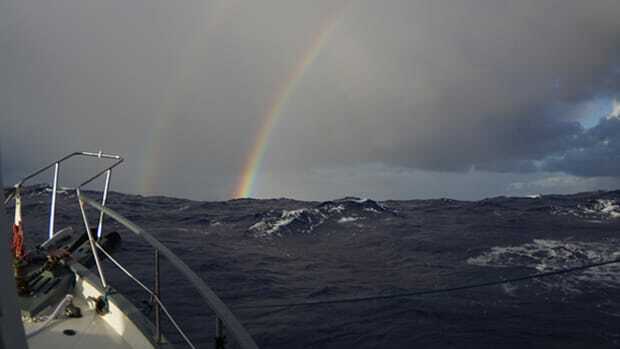 The same can be said for boats that grab our attention and hold it with a Gorgon gaze. 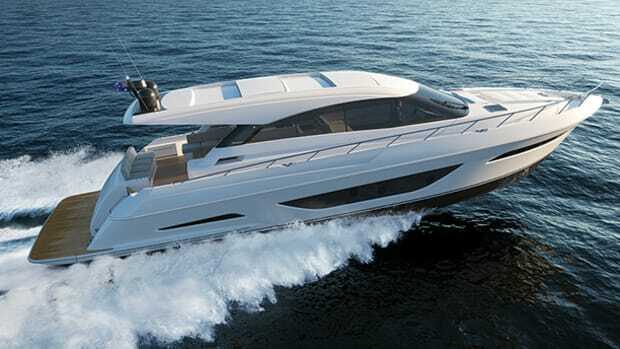 Such boats may do so before we know it, without a sound; as was the case with SV Yachts’ Alpha, which debuted at the Miami International Boat Show, looking altogether out of place rolling listlessly with the tide. 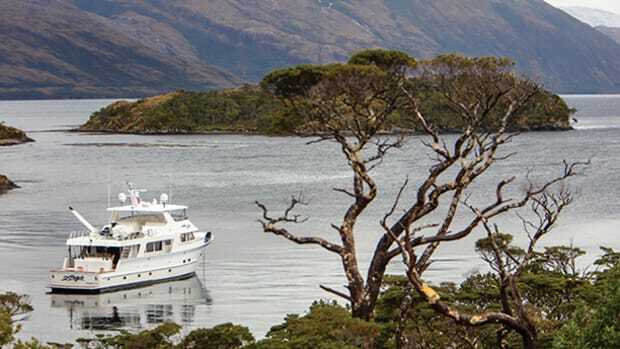 There she was, her Kevlar-and-aramid-reinforced hull offering a stark silver-gray contrast to the glaring pop of ruby red, from the sunpads to the keel. If this was an animal in the wild it would be an exotic, poisonous thing. I took out my phone to snap a picture. Only later would I find out I was not alone in thinking this was something deserving to be captured. 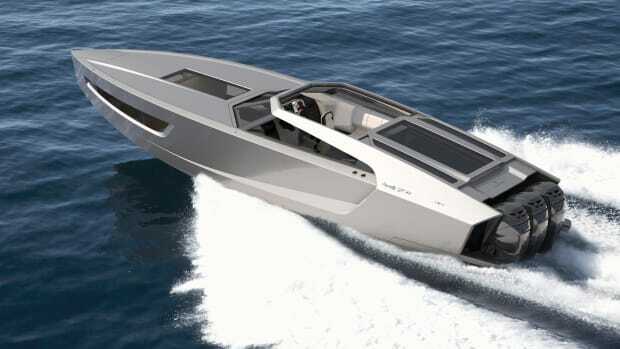 What “it” is, exactly, is a high-performance yacht that comes standard with twin racing stern drives. 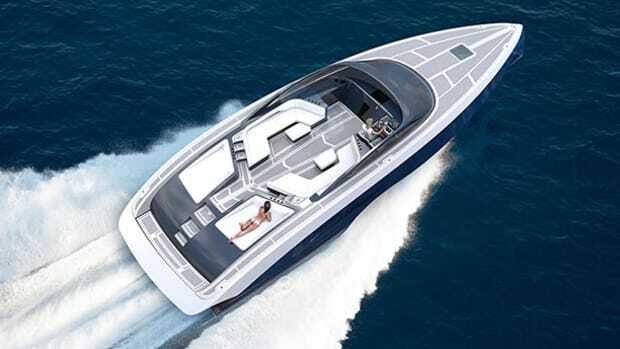 In its top configuration, with twin 700-horsepower SCI Mercury Racing engines with SSM 6 drives, it is billed as the “fastest luxury yacht in the world,” with offshore speeds of more than 80 knots. 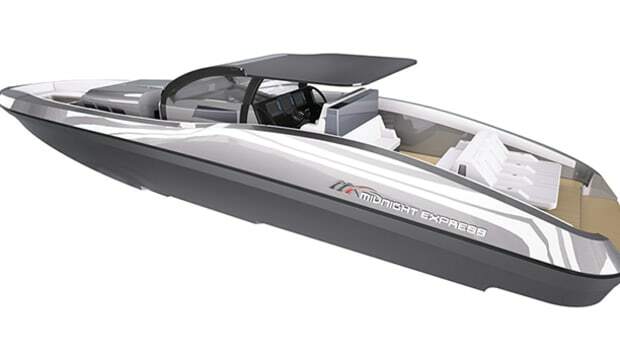 Many performance boats can easily top those speeds—and the Cigarette racing boats that sat idle down the dock certainly do—but none have the day-boat layout and luxury touches (read: champagne cooler) like the Alpha, which, for all intents and purposes, seems like a category-breaker. 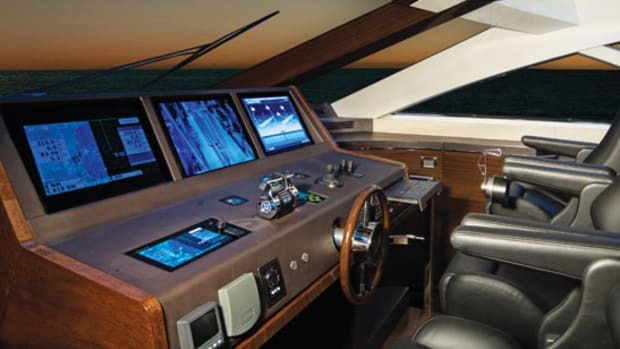 SV Yachts was founded soon after, with the goal of injecting velocity and fine craftsmanship into day-oriented stern-drive vessels. 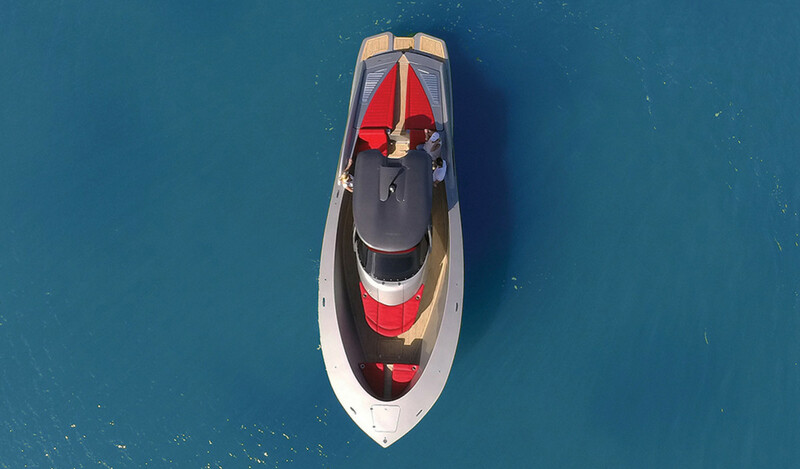 Launched this year, the Alpha is fully customizable, with options that include additional fuel tanks, a bow thruster, a FLIR thermal camera, and lollipop-colored paint jobs. 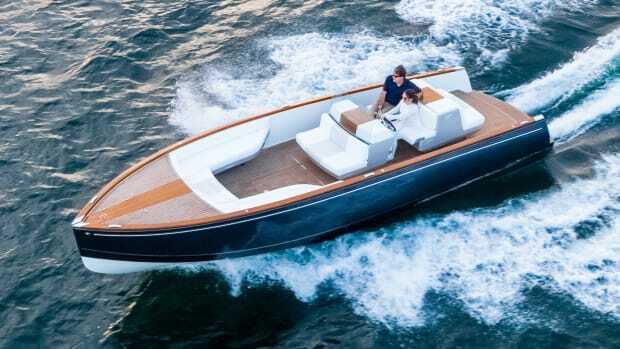 The styling elements are borrowed from the racing boats of the 1960s, and the original renderings also take inspiration from their road-going cousins: vintage classic cars of the era. 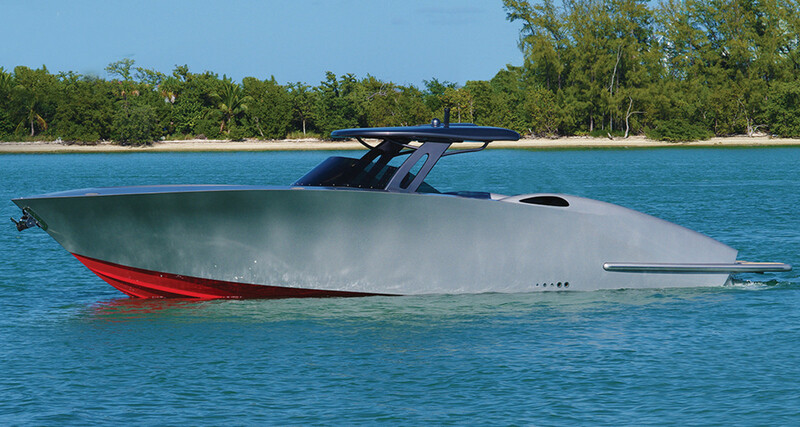 “If you look at the aft portion of the yacht, you’ll see some resemblance to a 1967 Corvette [Stingray],” says Velez. So, while it looked altogether tame on the docks, the Alpha exhibited a raw power akin to the coiled body of a viper or the taut legs of a jungle cat ready to strike. 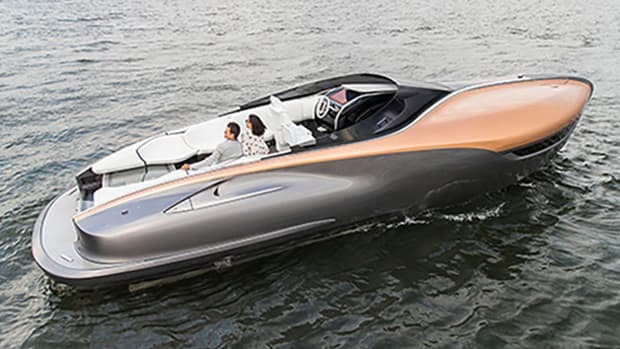 The term hot-rod boat may undersell it. This may be a force of nature.